People who walk, bicycle, are disabled, use wheelchairs or assistive mobility devices for basic transportation, use agricultural equipment, work on roads and utilities, ride in horse-drawn carriages are at risk when drivers operate carelessly, recklessly, or are distracted while driving. 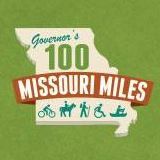 Most Missouri drivers are careful and drive with the "highest degree of care," as required by Missouri law. But far too often, in situations when drivers do operate carelessly or are distracted and end up injuring or even killing a vulnerable road user, our justice system gives few or no consequences. To make our roads and streets safer for everyone in Missouri, we need to change that. The language below can be used and adapted by cities, counties, and our state legislature in order to enact Vulnerable Road User (VRU) legislation in Missouri. 304.595. 1. Any person who operates a motor vehicle in a careless or distracted manner and causes serious physical injury or death to a vulnerable road user shall be guilty of the crime of injuring a vulnerable road user. 2. Any person issued a citation under this section shall be required to attend a hearing regarding the citation before the appropriate court. (5) Have his or her driving privileges suspended for a period of no less than six months. (3) A person lawfully operating a bicycle, piece of farm equipment, skateboard, scooter, moped, motorcycle, horse-drawn carriage, wheelchair, or an electric personal assistive mobility device or who is wearing roller or in-line skates. If you know someone who was injured or killed as a vulnerable road user--or if you have a personal story--please share it with us. Ask your local city council member to support and pass a Vulnerable Road User law in your city or county.